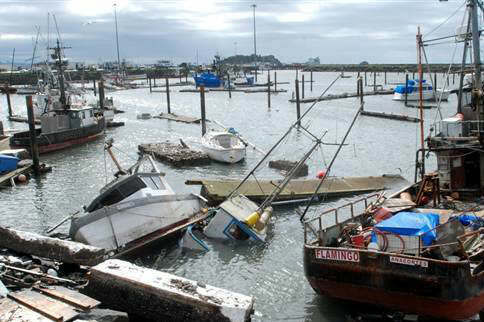 NOAA's Office of Coast Survey responded to requests from the Coast Guard and the Army Corp of Engineers following the March 11, 2011 tsunami. 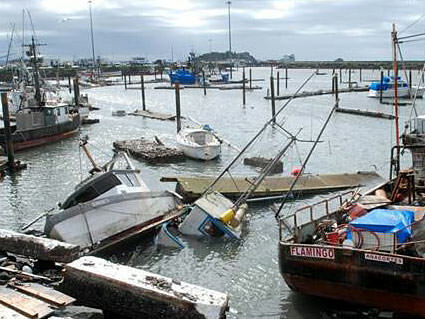 A navigation response team surveyed the federal channel at the port in Santa Cruz, Calif., which experienced extensive damage and destruction to boats, looking for submerged debris. The bathymetric data will also be used to update NOAA's nautical charts of the area.